Chart starts with federal minimum wage. 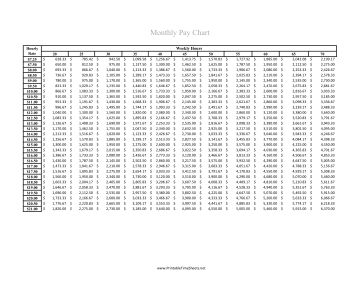 Auxiliary chart makes calculating monthly pay based on hourly wage easier. Adjust either the hourly rate or the hours worked per week to customize the chart. Print the chart as a handy guide.